Rio Ferdinand, former England’s national team captain, defender of Manchester United, wasn’t nominated to the European football championships in Poland and Ukraine roster. On Wednesday, the head coach Roy Hodgson announced the names of 23 squad players. 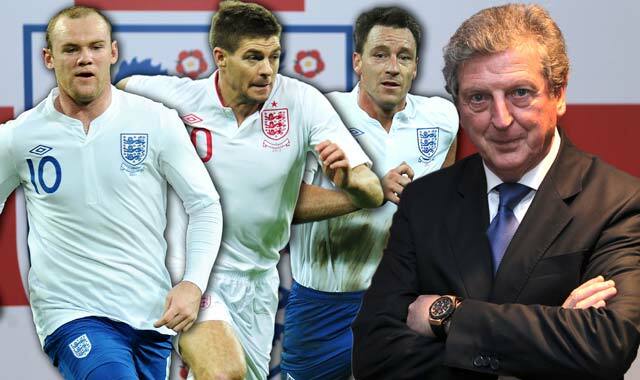 According to British Isles media speculations, Hodgson should have selected for Euro 2012 roster only one player from the pair John Terry (Chelsea London) – Rio Ferdinand (Manchester United). The reason should have been a conflict between both players, an aftermath of events from October 23, 2011. During a league match, defender of Chelsea London, using obscene and racist vocabulary, should have offended Rio Ferdinand’s brother – Anton, a footballer playing for Queens Park Rangers. That incident was disclosed, because it had been recorded by cameras. There are two debutants in the squad – Norwich City goalkeeper John Ruddy and club mate of Wojciech Szczęsny from Arsenal London – midfielder Alex Oxlade-Chamberlain. Prior to Euro 2012 England’s team is going on May 21 on 4-day training camp to Spain and will play two friendly matches – on 26th of May, with Norway in the Ullevaal stadium in Oslo and six days later with Belgium in London’s Wembley. During the tournament, Roy Hodgson’s protégées will be accommodated in Cracow. At the group stage, they will be playing in Group D. On June 11, they will measure their strength with France in Donetsk, on June 15, with Sweden in Kiev and four days later with Ukraine – again in Donetsk. Goalkeepers – Green (West Ham), Hart (Man City) Ruddy (Norwich). Defenders – Baines (Everton), Cahill (Chelsea), Cole (Chelsea), Johnson (Liverpool), Jones (Man Utd), Lescott (Man City), Terry (Chelsea). Midfielders – Barry (Man City), Downing (Liverpool), Gerrard (Liverpool), Lampard (Chelsea), Milner (Man City), Parker (Tottenham), Oxlade-Chamberlain (Arsenal), Walcott (Arsenal), Young (Man Utd). Forwards – Carroll (Liverpool), Rooney (Man Utd), Welbeck (Man Utd), Defoe (Tottenham).